Terrain, Anthropologie’s garden brand with locations in Pennsylvania and Connecticut, opened on Friday, November 18, in conjunction with an Anthropologie & Co. store in the Stanford Shopping Center in Palo Alto, CA. 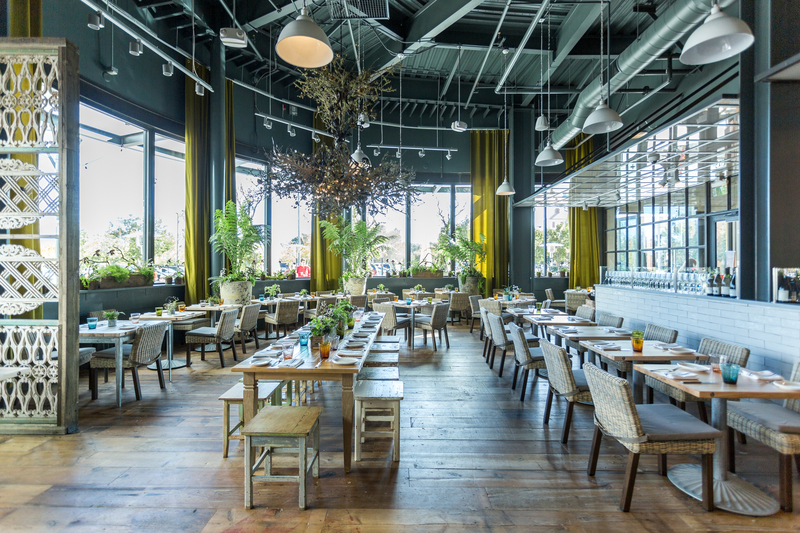 SFGate wrote about the opening, saying, "Philadelphia-based chef Marc Vetri made national headlines in 2015 for selling his Vetri family restaurant group to Urban Outfitters, will venture into the West Coast food scene for the first time with Terrain Cafe in Palo Alto." The site will be the third Terrain Cafe under Vetri’s management, but the first with his own menu. Marc Vetri said he pulled inspiration for the menu from the store’s design: “The aesthetics are just amazing. The food will kind of follow that, with healthier options, vegetables, and similar things like that,” he said.